OmniAire 1300V HEPA Negative Air Machine by Omnitec Design Inc. The OmniAire 1300V has a unique design for abatement projects. 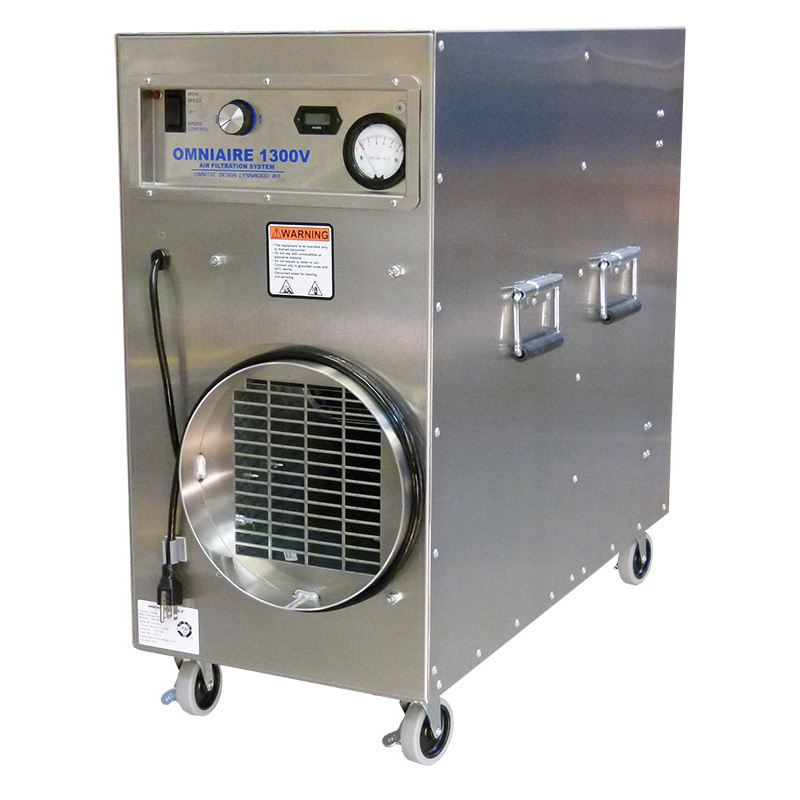 Designed especially narrow hallways and motel apartment and condo sized spaces, the OmniAire 1300V is used in mold, asbestos, lead abatement and restoration projects where size of the machine and a narrow footprint is an important factor in selecting equipment. Available accessories include activated carbon filters for removal of chemical fumes and biological contaminants. The OmniAire 1300V can also be used in conjunction with the PEROx air purifier for safe and effective VOC, odor and bio-contamination control. Effective for restoration after floods and fires, used in healthcare facilities, and thousands of additional applications.